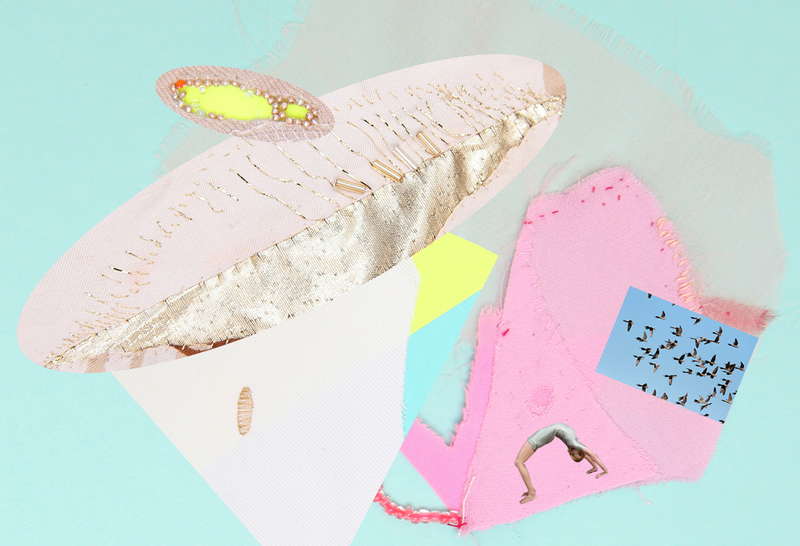 Maria Blaisse's explorations of form and matter inspire new visions of symbiosis with our surroundings. 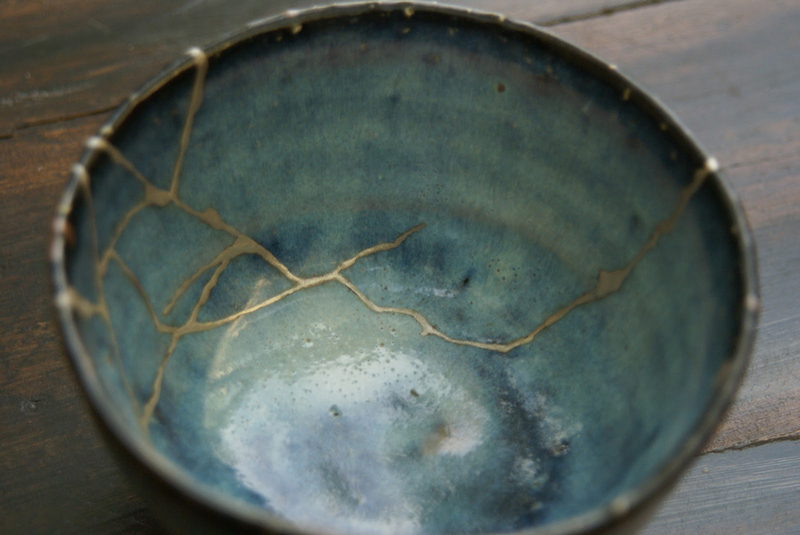 Slow design is a continuing inspiration to the Designblog program. If you slow down and take a minute you will see that there are many entries linking it to interesting “projects” done in the past & inspiring work related to the ideas of slow design. Use the ‘slowdesign’, slowlab’, ‘slowme’ tags, you can easily find them in the pink ‘tag-bar’. If you want to know what ‘Slow design knowledge’ is, take a look at the video and be inspired by the beautiful images and music in it 😉 Or check out their Facebook organization page [x] slowLab – A Slow Design Network /note that entries are viewable whether or not you have a Facebook account yourself. They’ve recently posted there about how Maria Blaisse’s explorations of form and material inspire new visions for Slow urbanism, as well as about Pia Lindman’s Slow view of democracy-in-action, Kate Fletcher’s recent ‘Local Wisdom’ event in NYC, and how YOU can be part of designing the first Slow Design Reader. Take a look. let them know what you think, and share the link with others! Based on the idea of sustainability and especially the so called Slow Design I want to have a look at one of the works from Eindhoven based design office EDHV, which were displayed in the Museum Boijman van Beuningen in Rotterdam. 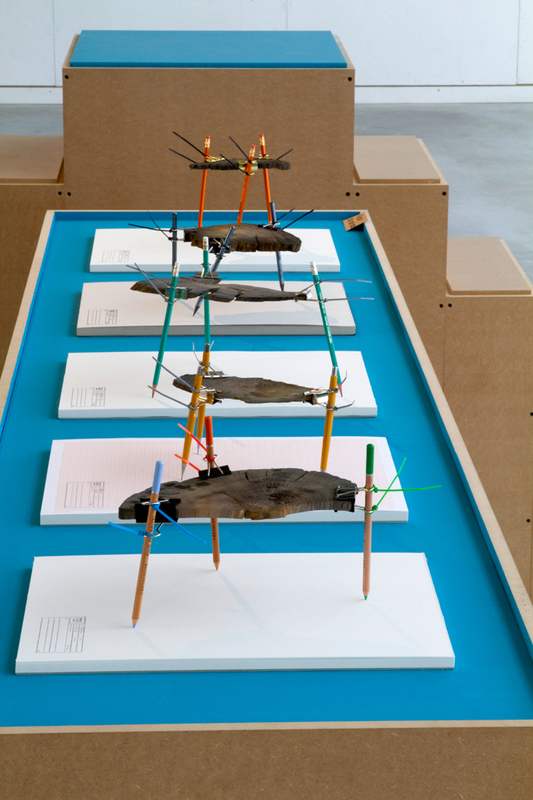 The work i want to talk about in this Essay is called „Time Writerz“, first exhibited at the Dutch Design Week 2010. It consists out of different plates of wood which have been hidden in the ground and sealed from air and erosion for more then six hundred years. By putting it back to the air the wood comes to life again. To show the ”growing” process there are pencils attached which are holding the wood and are „writing“, documenting all the movement the wood is making. One of many important things for EDHV is the sustainability of their work. Therefore the most important thing is to start every project with a proper research because this is important to create a sustainable concept or idea. To quote Remco van der Craats: ”A shape without a foundation has no meaning“. Another key to a good result for him is trust and intensive collaboration between his office and the client. I choose the artwork „Time Writerz“ because it fascinated me for different reasons. For me this work from Edhv is a lot about making change through time visible and here I see the strong connection to a collaboration work I did myself for an exhibition in Munich in an temporary space in the summer of 2011. We decided to use very basic geometrical shapes and also keep the choice of colors really simple. It also should remind you of the wooden blocks you were playing with as a kid and also was a direct reference to a old mural that was painted on the ceiling of the exhibition space. The mural shows silhouettes of houses painted out of the basic geometrical forms and colors. These basic forms were made out of colored wax. Over the sculpture we placed a lamp. 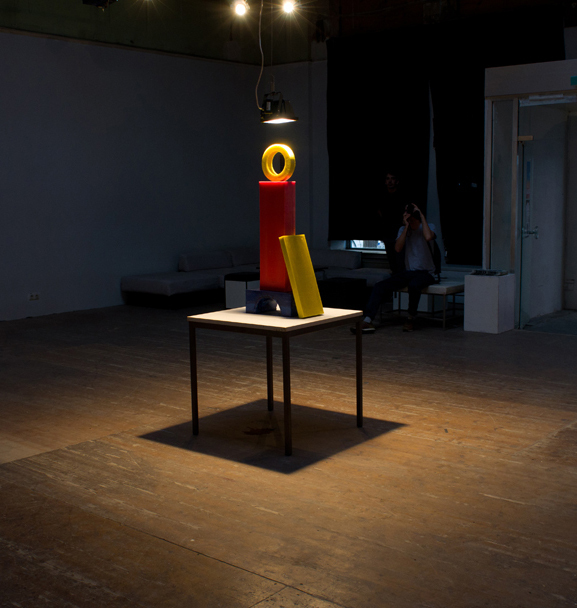 The wax was slowly melting down during the time of the exhibition by the heat of the lamp hanging over it. Our goal was to work with the space and also showing the fact that the space, which we were using was temporary, by letting the artwork vanish during the show. Another Artist that works with the same idea of making change visible is Belgian born artist Francis Alÿs. Educated as an architecture in Tournai and Venice, he move to Mexico City in 1986 and soon started to work as visual artist. He mostly works with video and performance art. 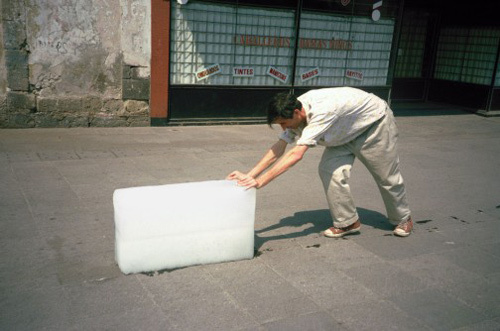 His performance „Paradox of Praxis 1 (Sometimes Making Something Leads to Nothing)“ done in 1996 in Mexico City is maybe the best example of how Alys worked with the topic of showing the change through time, by pushing a big squared formed ice block through the streets of Mexico City. 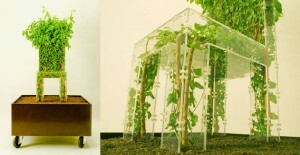 Growing your own design-chair, made out of living trees, grass or crystals – sounds interesting? Nowadays, more and more designers are working with nature, instead of against it. They’re combining unpredictable, living objects with well-thought design and come up with new ways to make creative and durable furniture. 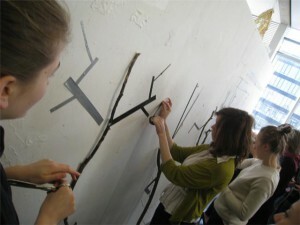 In a workshop, given by graphic designer Ayumi Higuchi, students had to create trees out of black tape. Every student received one role of tape and together they had to make a tree on the wall. It was interesting to see how this worked out – you’re able to control your own decisions, how and where to place the tape on the wall, but you can never completely control what the others will do with their roll. This concept – not being able to direct the final outcome of a project- is closely related to the trend of ‘growing designs’. 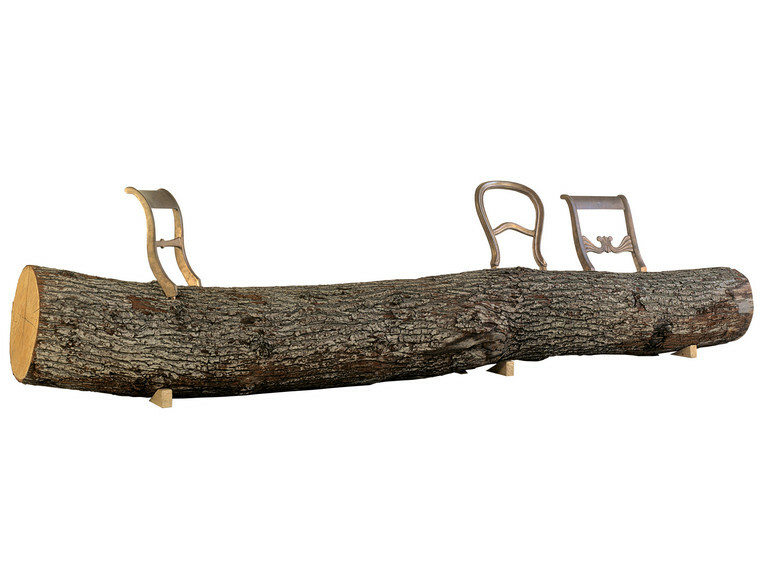 One could speak of an ‘eco-trend’, a form of slow design in the furniture-industry. In recent years, more and more designers experiment with the combination of nature, and the natural forms it grows in, together with practical and smart designs. We can see this most clearly in the design of chairs. Chairs that mingle the, in a way, unpredictable side of nature with the well-thought side of modern furniture design. Just like with the trees made of tape, designers are using elements in their work that they can never fully control – and they do this on purpose, because it makes the outcome more interesting. One can only predict the way the final work will look like. And, commercially speaking, it’s a smart way of working. In the IKEA-era, a time in which identical chairs can be bought for just a few euro’s, buyers are now looking for more unique, durable designs – they don’t want to see how the chair they just bought is also to be found in the living room of their neighboor. Below, you’ll find some interesting projects that illustrate this new design-trend. All working very differently, they still show simular starting points. Another project in which a designer is working with nature, is the ‘Venus Chair’ by Tokujin Yoshioka‘s. This chair might not be that comfortable, it is a nice concept in which design and nature can get along. 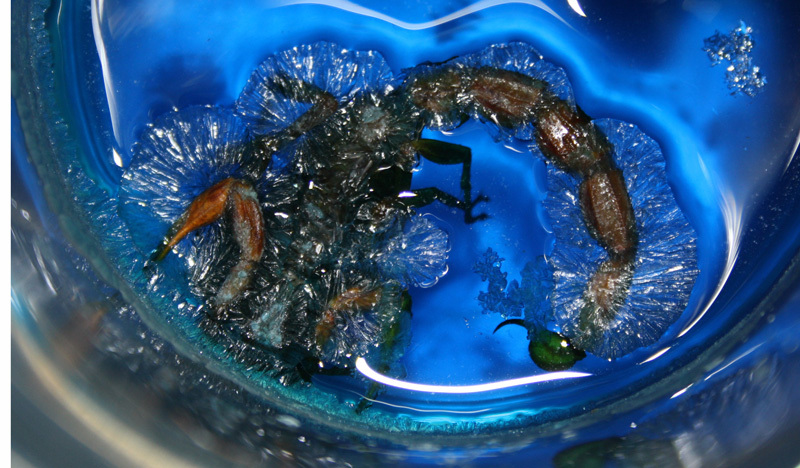 The object is made from growing natural crystals. 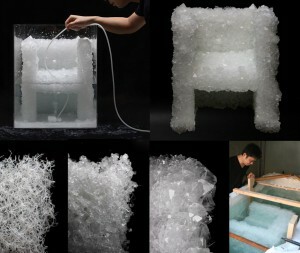 This is a prototype of his crystal-chair. 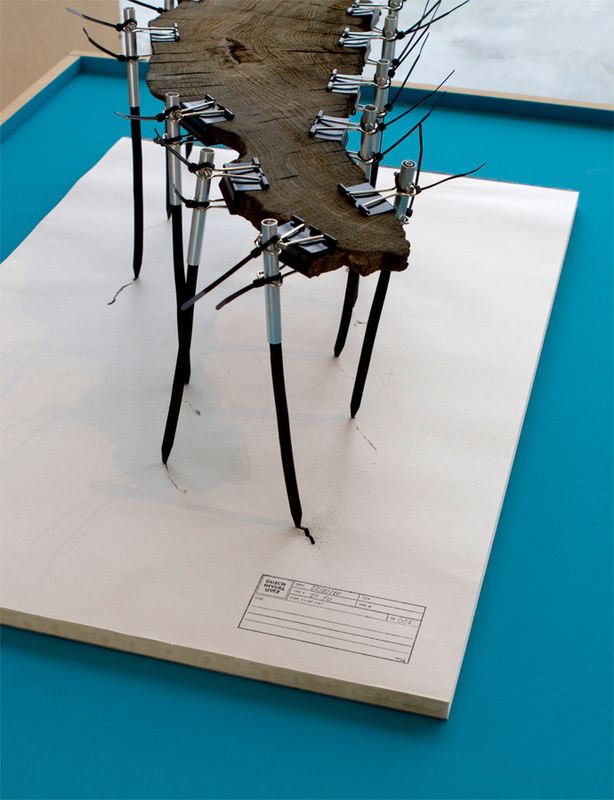 A work that is ready to use, is the design developed by Michel Bussien. It’s called the ‘Growing Chair’. It’s potted and on rollers, but you can of course remove the box and put it in your garden. A nice see-through chair, a very good example of letting nature, literally, fill up the design. To use the complexity and beauty of natural forms and include this in new designs – to almost ‘reconstruct’ nature, without having to bend and force the natural shapes in a dramatic way. Also great for your back garden is ‘The Grass Armchair’, by Purves & Purves. Again, working with a frame, this chair is ‘leading’ the grass. It will almost dissapear in the landscape, being completely covered up with the surroundings, you’ll have to be careful while mowing. 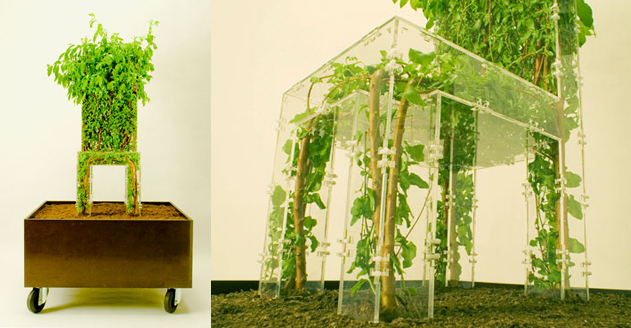 The chair is made of biodegradable cardboard which you fill with gravel and soil, seed with grass. It is because of this statement that only the chair backs are for sale, thereby forcing the buyers to really find a tree, that’s already there, to use. Thereby making the buyer very active in the process of the design. Although this tree is not growing anymore, it’s still a nice way of using natural shapes and transforming it into a design. All these projects show how you can make unique design in a new, eco-friendly way. A ‘movement’ that will probably set the trend for future designs and will constantly inspire designers to work in a creative way with what’s already there. Fauna, a word which brings sweet and fluffy images to my mind. Horrible. Especially because it’s always linked to the other half; Flora. The combination of those two words is a summary of almost all the things we see in our free time. (watching birds, taking a walk…). So for me it was quite easy to search for a book which was linked to my tag. Although the intentions of my original tags were more general, I now ended up with a book named ‘The cat’s tail’ (De staart van de kat). Just a nice title made of simple words. Not too heavy or philosophic. The title and the cover fit well together. The book is white, small and empty. There are no images on the cover. It’s quite the opposite of images that sneaks into my mind when I think of fauna. Brian Eno’s repetitive music. He is known as the creator of the so called ambient music which is a low volume music designed to modify one’s perception of a surrounding environment. That sentence is true in the fact that I stop being annoyed by all the people around me and I turn inwards. I notice my own heartbeat, the way I move through the crowd; all the little details around me seem beautiful and unique. Even the fat lady eating Febo is strangely hypnotizing. That’s the thing about ambient music, as Brian Eno termed, it can be either “actively listened to with attention or as easily ignored, depending on the choice of the listener”. If you listen to it in your headphones then you are alone in your own world but if it’s in the background ,for instance in a restaurant, it turns into elevator music. Eno used the word “ambient” to describe music that creates an atmosphere that puts the listener into a different state of mind; having chosen the word based on the Latin term “ambire”, “to surround”. I think what he means is that we should all live in the moment because who knows what will happen in the next 5, 10, 20 years. The glaciers might have melted and we could all be living in boats. Well, I certainly don’t want to be that pessimistic and I usually think about the future in a positive way. But when I start to think about this type of stuff I prefer to live myself in the moment. The dinner I’m going to eat in a few minutes, I need to clean the table first and then I might go to the bathroom. I love the fact that I don’t know what is going to happen so I tend not to plan too long ahead, although I have a plane ticket back and forth Amsterdam and Reykjavík months in advance. I know that I will spend my summer in Reykjavík with my friends and family and I will probably get a work in my mothers business. I think I know those things, but they are still 3 months away. A lot of things can happen in 3 months. Making a plan gives you a false sense of security that if everything is going according to the plan then you are safe. A plan gives you also something to look forward to, then you know that you won’t be stuck doing the same thing months ahead. Living in the right now while making plans is the perfect solution, to always have something to look forward to and still enjoy what you are doing in that specific moment. After lecturing on “slow principles in design and art” by Carolyn F. Strauss, students reflected upon their own work and process before starting a research into a variety of slow design and art related subjects. 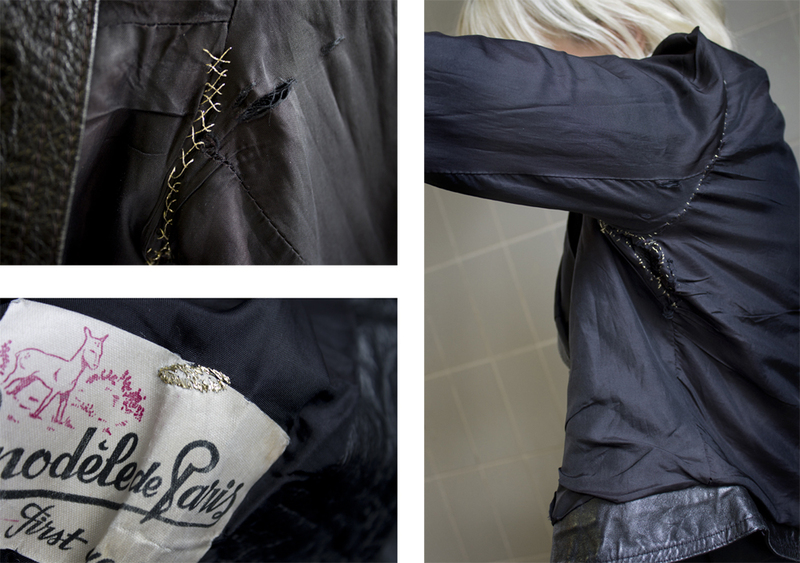 To clarify the effect slow design can have on the work in progress we invited Marie Ilse Bourlanges to present her work and share insight in her working process. a physical process of linking and tagging with crèpetape and post-its. Within this context adopting slow design as a working principle in our educative process, it became important to underline and make visible the relations between these student investigations. To emphasise a surfacing network between the subjects we did draw visible links between the research results, adding link topics. Additional tags could be post-it to each others research A4 to create shared keywords/tags. Tags (trefwoorden [dutch] or entrances) are non-hierarchical keywords or terms. They make possible to search and find data. Tags create meta data. During the past years Web 2.0 applications like Youtube and Flickr added immensely by allowing users to add “free-form” tags as a tool for searching. The interesting thing is that tagging presents a system in which there is no information about the meaning or semantic of each tag. Orange might refer to fruit or color. Retagging found data even led to tag based social networks on the web. Tagging on this Designblog! Our modern world is dominated by speed, we’re addicted to it. We try to squeeze in as much as possible in every minute of every day. All the mintues of the day are a race against the clock. The last 150 years everything seems to get faster, our world had turned into a race of the fastest, not the fittest. Quantity has become more significant than quality. It’s time for a new approach on the time and the experience of it. Following this philosphy a cultural revolution has begun against the notion that faster is always better. It’s not about doing everything in a snail pace, but about doing things in the right speed. With the right speed you become more aware of the world around you. Slow movement is also a strategy artists use to explore a new world, parallel to the real one. By examining and exploring the decelerated movement, you experience a completely new place that tells a totally different story then the movement would in a regular pace. The quick movement easily misses the essence of the being. New interpretations and other information occur by applying a slow movement strategy. Art wants to be looked at closer and deeper, and not to function as a spectacle for the consumer. By engaging more with the work, you get introduced in the inside world, which is not visible in the beginning. It’s like reading a book, as the ‘halves of it’, instead of looking at the cover, the ‘whole’. The Kunsthalle of Bern shows an exhibition of artworks focussed on the slow movement.. Reading about the slow movement and looking at the works made me rethink about looking at art. I’m not a person who takes the time to look at art more closely. I judge by the cover, the ‘whole’ of what I see. Last christmas I visited Paris and went to Centre Pompidou. Mindlessly I passed the diffrent works, without truly engaging. After a while I realised I had no clue what I had seen. Then I forced myself to take a closer look and a stronger connection occured to me. Your experience a higher level of commitment, when you let yourself get absorbed into the work. Most people do not reach this level, because they crossmark the artworks they saw and feel satisfied by saying “I’ve seen a real….”. Again; it’s not about quality, but about quantity. The quest for understanding works hand in hand with a process of decelaration. There are no routine practices that could be used to save time. Why hurry through art and miss it’s essence? An artwork was build out of energy, emotions and time and it deserves to be experienced with the same care. “Slow Movement or: Half and Whole” means life before art and life after art. 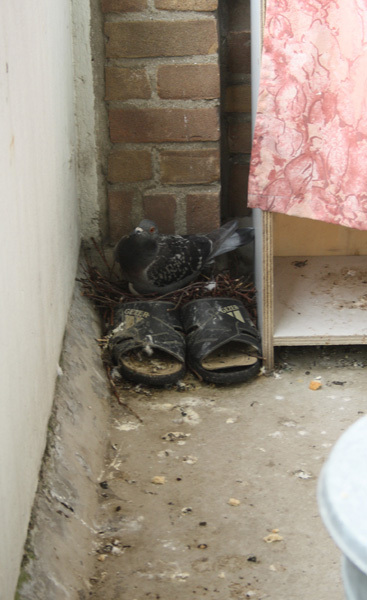 Wonder where all the tagging started?………. It was the 5th of February when we started a project moderated by Carolyn F. Strauss, designer, curator and founding director of slowLab. Together with the students of the FoundationYear’s D group she lectured and set of an investigation into slowdesign and related designers and artists. True to the principle of personal connection we started with a quick mapping of ourselves and our working process as designers and artists in relation to “slow” as a subject. Mapping to find keywords for processes and experiences that make up our conditions and inspiration for behaving and performing, to visualize that flow and determine specific tags to describe it. How do these tags symbolize slowness in our work and working process. Ask yourself the question “slowMe”? …a friend of mine told me at dinner that I eat really slowly. I was surprised , have not really realized that everybody but me was already finished. It bothered me. When I was still living at my parents place the tempo of eating was always an issue. Everyone but my father ate really fast. From time to time I could even keep up with my mother and was proud to sit in front of an empty plate while anybody else was still eating. It was like a competition. So what happened from then until now? Am I slowing down or are people getting faster? Is it me or my environment which changed? Who influences whom? which is faster. Is life fast or slow? It depends how you see it. I would like to bring your attention to noticing things. Generally we always notice something faster before than something slower. Get used to see the shoe on the other foot, get used to perceive slowness. If life seems too fast for you, give yourself some time. For example every day before going to work, wake up a little earlier and take some time for making yourself a nice breakfast. Be slow, enjoy the activity. Take your time for eating that, feel the taste and smell of your meal. Fix the mind on your food. Look out of the window, see what morning brings. Notice the details. Take a walk when you’re going to somewhere. Breath, be aware of doing that. Notice other people around you – Who is she? Where she’s going to? What she’s thinking of? Concentrate. You are surrounded by details, find them, play with them. Be interested in things. Notice sun, notice rain, notice snow. Give yourself some time to notice! Sometimes I love this nights… waking up and directly start to work and in between a short rest… a complete continued circle….